William Stevens Balch (April 13, 1806-December 25, 1887), a celebrated Universalist preacher, was also an evangelist, a denominational organizer, journalist, politician, teacher, and historian. Proud of his impartiality, he stood apart from Universalist factions. Having mentored many students for the ministry, he promoted formal theological education and was a founder of St. Lawrence University. Born in Andover, Vermont, William was the second son of Joel and Betsy Stevens Balch. Betsy died of tuberculosis when her son was 3 years old. Though of modest means, Joel Balch, a farmer, was a man of local consequence who represented his town in the state legislature. William worked diligently on the farm, attended school a few weeks in the winter, and read eagerly the books available to him. Though his father favored the Universalists, he did not instruct his son in their views but left him to make his own faith decisions. For a time William fell under the spell of Elder Manning, the local Baptist preacher, but when Manning was indicted for perjury, he began to doubt Baptist doctrines. Hoping for a better mentor for sixteen-year-old William, his father proposed to send him to study classics in Reading, Vermont with the Universalist minister, Samuel Loveland. But William chose to work as a schoolmaster in Ludlow, Vermont. In 1823 he assisted his older brother Aaron as a teacher at St. John's Academy in New York City. William remembered that when he soon insisted on returning home, his brother predicted that "I should return to be a nobody and a nothing, among the stones and stumps of Vermont, the rest of my days." William tried working in his uncle's meat market, but could not bring himself to slaughter an animal. In the winter of 1823-24 he again taught school and saved his money to study with Loveland in the following spring. In attendance at a funeral Loveland conducted, William considered becoming a minister, but rejected the idea because of his religious uncertainty. In his spare time he pored over the Bible, marking all passages that dealt with salvation. William studied for a term, 1825-26, at Chester Academy, and then rejoined his brother on the staff of St. John's Academy in New York. He visited a variety of the city's churches. He rejected the dogmatic preaching of Presbyterians. He later wrote, "I preferred to use my reason and rise into the light rather than to sink into deeper darkness of ignorance at the bidding of others." Unitarian services also left him dissatisfied. By this time Balch had come to believe heaven and hell were states of mind in mortal life and that salvation could be achieved by following the teachings of Christ. Beyond this he was determined to adhere to no creed but to keep an open mind. He finally found a New York church he could join, the Prince Street Universalist Society served by Abner Kneeland. Having found a match with his emerging faith in Universalism, he began to think seriously of preparing for the ministry. In early 1827 Balch quit his teaching post and worked to finance his studies as a traveling lecturer on language and grammar in the towns of the Hudson Valley. He made enough to pay for three months' tuition with Loveland. In September he attended the New England General Convention held in Saratoga Springs and requested fellowship. Paul Dean interrogated Balch harshly on various points of theology, but Sebastian Streeter leapt to the candidate's defence. "Why do you bother the young brother with questions that you, nor I, nor anybody else can answer? If he wants to preach, why not let him try? He seems to be as well qualified as we were." Balch did not begin full-time ministry until 1829. Meanwhile, he taught school, studied with Loveland, and did supply and itinerant preaching in areas around Newfane, Vermont and Winchester, New Hampshire. He was ordained at Claremont, New Hampshire in May, 1828. For two months prior to his first settlement, Balch took on Thomas J. Sawyer as a student, the first of many who would study for the ministry under his tutelage. In 1832 his older brother Aaron became one of his early pupils. He eventually trained 30 students in his household, sometimes called a "primitive theological school." In August, 1829, Balch married Adeline C. Capron with whom he had eight children. After their wedding the couple moved to Albany, New York. But Balch's first two urban settlements—in Albany, 1829-30, and in Watertown, Massachusetts, 1830-32—were cut short by illness. He thrived in the countryside. He lived and served in Claremont, New Hampshire, 1832-36, and itinerated to 17 preaching stations in New Hampshire and Vermont. He also recruited and trained students for the ministry, ran a Universalist newspaper, the Impartialist, and helped organize the New Hampshire State Convention of Universalists and the United States Convention of Universalists. When the Universalist Historical Society (UHS) was organized in 1834, Balch was appointed corresponding secretary for New Hampshire. He served as the society's president, 1843-45. An active historian, Balch interviewed those still living who had known the earliest Universalist evangelists. He presented his results to the UHS in 1838 and published them under the title, "Random Sketches of the Early History of New England in Connection with Its First Advocates," in the Universalist Union, 1839-40. In his report he cautioned against written histories based only upon well-known incidents or characters and encouraged researchers to "leave the beaten track." He lifted up Caleb Rich's originality of thought, when compared with the derivative theologies of John Murray and Elhanan Winchester. Balch wrote, "Let the reader just turn his eyes to that 'rough hill country' where the labors of the sainted Rich were mainly performed, and carefully note the diffusion of light and the march of truth from that spot . . . I am disposed to reckon him among the first and foremost founders of Universalism in America." Restorationist David Pickering left the First Universalist Society in Providence, Rhode Island in 1835. The following year Balch was called to succeed him. Balch had witnessed the formation in 1831 of the Massachusetts Association of Universal Restorationists (MAUR) by breakaway Universalists. Concerned about the schism, he had tried at the time to maintain a friendly, conciliatory stance towards members of the new sect, but they began to suspect him of acting as a spy for Universalist leaders Hosea Ballou and Thomas Whittemore. Dean called Balch a "noncommittal man." In Providence Balch sought to repair the damage he perceived Pickering had done. He broke the Society's connections with MAUR and restored fellowship with the Universalists. In 1838 he helped organize the Rhode Island Universalist Convention. Balch was popular with children, and the church's Sunday School flourished under his care. In 1839 he published A Manual for Sunday Schools, the first Universalist guide for the religious instruction of children. Politically, Balch advocated radical egalitarian principles. Both in Providence and later in his career, he made many partisan speeches and published political sermons and tracts. Worried about the undemocratic influence of Catholic immigrants, he wrote Native American Citizens: Read and Take Warning!, 1842. He publicly supported Thomas Dorr and constitutional reform to expand the electoral franchise in Rhode Island. The majority of his parishioners disagreed with him. Fortunately for the peace of the church, Balch left Providence before the crisis erupted into violent rebellion—the so-called "Dorr War"—in 1842. At the Universalists' General Convention in 1840, Balch preached an eloquent sermon, "By This Shall All Men Know That Ye Are My Disciples." He argued that followers of Jesus are not distinguished by creed but by the fact that they love one another. A witness recorded that "the people almost jumped from their seats at the grandeur of the enunciation of so important a truth." In response to this sermon the Bleeker Street Church in New York City called him to be their minister. His Bleeker Street pastorate, 1841-59, was his longest. With much competition, Balch was a popular preacher in New York. He was also an editor of the Universalist Union, 1846-47, which under his management changed its name to the Christian Ambassador, 1848-60. 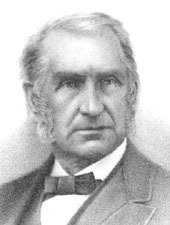 In 1855 Balch led the fund-raising effort for the foundation of a new Universalist seminary, Canton Theological School (later St. Lawrence University). He also raised money for the school's endowment fund and still another fund for the library. The school award him their first honorary degree, for his contribution to theological education and to Universalism. However, because he was opposed to the use of titles elevating one person over another, Balch declined to accept it. Adeline died in New York City. In 1856 Balch married Mary A. Waterhouse with whom he had three children. Balch left New York and returned to his "hill country." From 1859-65 he lived in Ludlow, Vermont. He did itinerant preaching around the State and served in the State legislature. He next moved west to serve the church in Galesburg, Illinois, 1865-70, where he also preached and lectured to the students at Lombard College. He retired to Hinsdale, Illinois but was soon called to the church in Elgin, Illinois. He served there, 1871-78, and in Dubuque, Iowa, 1877-80, before again retiring in Elgin. He supplied the Elgin pulpit when other ministry was unavailable until shortly before his death. The Impartialist is stored at the New Hampshire Historical Society Library in Concord, New Hampshire. The Universalist Union and the Christian Ambassador are at the Andover-Harvard Theological Library in Cambridge, Massachusetts. Among Balch's published writings not mentioned above, are Inductive Grammar, Designed for Beginners (1829); A Brief Sketch of the Life of Christ: Catechetically Arranged in the Order of a Harmony of the Gospels (1830); Lectures on Language, as Particularly Connected with English Grammar (1838); Popular Liberty and Equal Rights (1841); "Universalism in Europe," Universalist Quarterly (Jan 1849); Ireland, as I Saw It: the Character, Condition, and Prospects of the People (1850);Dangers of Our Republic (1857); "Caleb Rich," Universalist Quarterly (1872); A Tract for the Times. Hard Times; the Cause and the Cure (1873); A Peculiar People; or, Reality in Romance (1881); and The Cause and the Methods Adopted to Obtain a Republican Constitution for Rhode Island (1885). Some of his sermons were published as pamphlets, e.g.. Universalism a Bible Doctrine (1835) and Brotherly Admonition, a Sermon for Professed Christians (1878). Others are preserved in Holmes Slade, The Life and Labors of the Late Rev. William Stevens Balch (1888); The Occasional Sermon: Delivered before the Universalist General Convention, at Its Session in the City of New York, Sept. 1841: Together with Thirteen Other Sermons Delivered on the Same Occasion (1841); and Universalist Church of America: General Convention, 1858 (1859). Although Slade's Life and Labors is the best source for information on Balch, it is disorganized and full of gaps. Some further detail can be found in E. H. Capen and Cyrus Fay, "Historical Discourse," A Half-Century Memorial of the First Universalist Society in Providence, Rhode Island (1871); Rubens Rea Hadley, "Historical Address," Centennial Book, First Universalist Society, Providence, RI (1921); the Independent Messenger; Richard Eddy, Universalism in America, vol. 2 (1886); and Russell Miller, Larger Hope, vol. 1 (1979). Balch's obituary is in the Universalist Register (1889).